Data Recovery Hospital exists to help clients recover their lost files from any make or model of desktop and laptop hard disk drives (HDDs), multi-disk RAID devices and any type of removable media. We have developed tailored solutions for recovering lost data from all leading brands. Collection within 60-90 minutes anywhere in the UK, available 24/7/365 by dedicated driver or free courier collection weekdays. Critical data recovered within hours not weeks. Emergency 24/7 services available – free no obligation quotation, free assessment and up front pricing. Second opinion for RAID arrays, hard drives and flash memory declared unrecoverable. Have you tried other computer repair or data recovery companies and been unsure if they have actually tried to recover your deleted files? Or have you been charged for very expensive parts or a meaningless 10 page report? We regularly recover drives declared unrecoverable by Rapid Data, Fields Associates and Fields Data Recovery Specialists. Do not take risks and check our reviews, there still may be a chance! Call Andy on 0800 999 3282 and get a second opinion – R3 routinely recover drives declared unrecoverable and have the best recovery technicians in the UK ready to assist with complex cases. My work was recovered in less than 24hours with honest advice and help. It was the bank holiday and 23:00 Sunday evening our exchange server drive decided to fail. I thought there would be no chance of any companies being open on a bank holiday; especially at 23:00 on a Sunday evening. Google’d for a recovery company and R3 Data Recovery Ltd came up. Gave the number a call and immediately Andy answered and began to diagnose over the phone what the problem could be. To my astonishment he asked how quickly do I need assistance, and advised they are a 24/7 establishment and advised me to drive to their labs. 45 mins later I was stood in a state of the art laboratory full of top equipment. I managed to get my drive diagnosed quickly and professionally and given invaluable advice which led to our Exchange server up and running the next morning. I cannot rate R3 enough, it’s fine providing an out of hours service, but at midnight on a bank holiday Sunday? If you’re stuck with a drive fail I would give these guys a call immediately. We were in the middle of an intense mobile commitment when the hard drive on a Mac died. As part of the ensuing panic on discovering essential material had not fully backed up (Lesson, I know). I happened on R3 via Google. Subsequent call, over a weekend provided reassurance, support and direction, followed by a detour by Andy to pick up the dead drive from my house. Service thereafter was calm, professional and rapid, with excellent feedback and advice which saved us money. Overall, R3 displayed a genuine talent for reducing a crisis to a drama. We now have all the essential information back. I wholeheartedly recommend R3. I can not recommend R3 Enough. Absolute legends!! I am working in Kazakhstan. My hard drive suddenly failed leaving me with no access to vital info for my job. I contacted R3 to discuss. Hard drive was hand carried to UK by a colleague on a Thursday. He posted to R3 on overnight delivery. R3 had the files 100% recovered by Monday and it was sent out to another colleague who hand carried back to Kazakhstan for me. I had it back in my hands by Friday. A remarkable turn-around. R3 kept me fully informed as to how the work was progressing. An excellent company to deal with. Andy and Stewart from R3 responded very promptly to my initial Web enquiry and were able to give me an upfront cost (including any potential extras).I sent in the failed/clicking hard disk and after a very short delay while a suitable donor drive was sourced, I was sent a list of the files that could be recovered. This was approved, so the files were restored to a USB hard drive which was despatched by courier for next day delivery. I was kept informed of the progress along the way, the file recovery was very successful and I can only thank the team at R3 for their efficient and excellent service. I can highly recommend the team at R3 Data Recovery to do a first class job within the time and budget they quote. R3 operates a four step recovery process that has been refined over many years to deliver market-leading recovery and customer satisfaction rates. Please note you will be free to talk to the engineer responsible for recovering your files and documents at any stage in the process. The first step is a free consultation by phone or email. At this stage, we will diagnose the issues that have driven the data loss, and decide which recovery solution is likely to deliver the best result at the best possible cost to you. We will also explain the various service level options available to you, and provide a ‘no data, no fee’ quote for recovering your lost files. Assuming you are happy to proceed at this point, we will instruct the free courier we provide as part of our service to pick the media device up from the address that you specify. Alternatively, you may elect to drop the device off yourself at one of the service centres we have located throughout the country. A microscope to inspection the disk for physical damage. An initial electrical inspection of the hard drive. An initial inspection of the magnetic media. A check on the workings of the read/write heads. A calibration and alignment check. RAID devices - Sadly, it is not possible to diagnose RAID arrays remotely, so we can only offer an indicative price over the phone; we will however provide a fixed price quote when we’ve had a chance to assess the device. Mechanical problems - Though we aim to repair faulty parts from stock, we do reserve the right to pass our costs on in the event that we have to order in replacement parts. > 20GB data - Where the size of the recovered files is >20GB, there will be an additional charge to cover the cost of the return storage device and the courier. Unsuccessful cases - In the unlikely event that we are unable to recover your data, there will be a charge to return the device. This will again be quoted at cost price. Inaccurate information - If the information provided to enable remote diagnosis was incorrect, we may have to review the price of our recovery ervice. In all instances, you are under no obligation to proceed until you know the full cost of our service.. You are also free to choose to provide your own parts / couriers if you’d prefer. Once you have confirmed acceptance of the all-inclusive quote, our disaster recovery engineers will employ the remedial actions required to recover your files in our secure, state-of-the-art laboratory environment. For logical problems, we will use software we have developed over many years to bypass the bad areas so that the hard disk is able to read around them. We will fix all mechanical repairs – including issues with the electronics – in our ‘cleanest of clean room’ facility within our secure laboratory. This will be done by idenrtifying and replacing all faulty components after the missing files have been copied and restored. As soon as we have manually checked your data, we will send you a full file list to validate. There will be not request for payment until you are satisfied with the results. We will then transfer your recovered files to the return media device agreed up-front, and our courier will return the data to you within the service timescales agreed up-front. We will retain your original disk for a minimum of 10 days in case there is any problem with the recovered files that have been sent to you. At that point, we will securely erase all data. We are happy to discuss your options and offer our advice without cost or obligation. We don't employ pushy sales types, rather friendly, courteous and knowledgeable people who understand every aspect of data recovery. Contact us now and let us take care of your data loss problems. Data Recovery Hospital’s mission is to maximise all clients’ prospects of recovering data successfully, regardless of the type of media device that has failed or the cause of the problem. We consistently deliver industry-leading data recovery rates by employing a carefully selected, experienced team of data recovery experts across all disciplines, and providing them with the best tools and techniques available. This includes our ISO3 clean room facilities which are 100 times cleaner than the ISO5 facilities used by the majority of our competitors. Understanding that data loss is usually stressful enough as it is, we do everything within our power to make the experience as painless as possible. We are committed to providing our clients with the most effective data recovery solutions as quickly as possible in order to minimise the disruption that can be caused by serious and sudden data loss. Mechanical faults and logical corruption can occur in any type of hard disk, rendering hard drives inoperable and separating you from critical data. The Data Recovery Hospital is ready to help provide a swift and successful solution to your hard drive failure, whatever severity of the situation. RAID recovery requires some of the most complex and delicate data recovery methods that our engineers are versed in. They are able to perform RAID recovery services on any type of RAID system that you might operate. Whatever the severity of the problem, we aim to have it solved and your RAID array back to full functionality within as little as 24 hours. Depending on the severity of the data loss problem and the urgency required for the solution, we can perform RAID recovery or any other type of server recovery services at your location and have the server operational in as little as 24 hours. Due to their portability and small size, USB memory sticks and flash storage drives are sometimes susceptible to being dropped or damaged while being moved between devices. We can recover any lost data with speed and complete confidentiality. The Data Recovery Hospital is ready to deal with any data loss issues that you might have. Whether you need our services for business purposes or to recover data for personal use, our engineers are thoroughly familiar with all types of both logical and mechanical failures that can occur in your data storage devices. If you experience difficulties accessing your data in any of the following storage device formats, don’t hesitate to contact us for a fast and professional service. PC Computers: Any type of desktop PC hard drive is susceptible to data loss through mechanical failure or logical corruption. We can recover data from any brand of desktop hard disk. Laptops: Although laptops are smaller and more portable than desktops, they can still be vulnerable to the whole range of faults and failures that affect desktop systems. On top of this, their portability makes them more likely to suffer mechanical fault through mishandling. Apple Macbooks: Our engineers are just as skilled in recovering data from Apple Mac systems as they are with windows-based ones. Mobile Phones: Data recovery from iPhones or android devices is a relatively new service that the Data Recovery Hospital now offers. We can restore vital personal data such as contact numbers, photo albums, emails and other data from damaged phones and tablets with our fast and effective methods. Data Recovery Hospital recover hundreds of failed storage devices every month. The processes developed by the company achieve economies of scale and cost effective service but with access to the very best recovery engineers your data has greater chance of being recovered and more of the files being in a working condition. A file list and integrity check report of the recovered data shows the actual files recovered before taking payment not just a file system list of what might be recoverable. Data up to 20GB can be sent by secure download, everything above that size is sent back on new branded drives which carry their manufacturers warranty. The image drive created as part of the recovery and any uploads are securely wiped to prevent risk of contaminating the next case / for data protection. It is important though to learn from the mistake of not backing up. Although we do have repeat clients most are IT Support providers managing their clients / users hardware. You know the scenario… hard drive fails, you didn’t get around to backing up your files. Sods law it’s jammed full of data you can’t replace and you have a deadline looming with in hours.Andy Butler and his team came to the rescue, quite literally! Data back on our desktops within 48hrs (and its a bank holiday!). We won’t forget and we can’t recommend more highly! Many, many thanks! My apple computer completely gave up and I faced the horrible prospect of losing all my photos and films of my family. I contacted r3 and we went over everything that I wanted recovered in detail, I am not someone who is great with technology but they were really patient.The communication betweent me and r3 was exceptional. They gave me daily updates about what was going on and as soon as they had recovered the data they took the time to go over again in great detail how to view my lost files before returning it back to me. In particular Mr. Wainwright took a great deal of his time to help me go over my lost files, being on the other end of the phone at a moments notice. I couldn’t be happier with the quality of the service and I would seriously advise anyone to use them. Do not worry if you have no idea about technology, they talk everything through with you. It is expensive but I personally believe every penny was well spent, especially counting up the hours of help I was given. Thank you very much, a very happy customer. R3 successfully recovered all my data off a full 2TB external hard drive. I had thousands and thousands of files on the drive including important still and video shots of leaping salmon. I was told of the costs from the outset and was kept informed by friendly and knowledgeable staff every step of the way. Although the price was more than I would have liked to pay, the fact that I got all my data back meant it was good value for money. Exceptional service, thank you! Much like everyone else who have left reviews, I too embraced the “It won’t happen to me attitude”. Unfortunately it did but when the s**t did hit the fan R3 were there to help me in my time of need. I consulted a handful of top end data recovery experts and R3 were the only ones to get back to me within the hour and via friendly phone call not a generic copy paste email. Straight from the offset all my concerns were put at ease. The whole process was so efficient from start to finish and you are kept up to date via email at every single stage. The whole thing was complete in a matter of days it was absolutely brilliant and I would have no quarms about recommending their service to others. Lots of people on here have included the cost of the service as part of their review however in my opinion its completely irrelevant and completely subjective as you cant put a value on sentimental data. Absolute 10/10 thanks very much to everyone I was in contact with and those whom aided my recovery behind the scenes. I am an Apple developer and I owe a massive thanks to R3 Data Recovery who saved my precious data when my Western Digital My Book 2 TB drive crashed on me, which is why I decided to write this review.Everything was smooth sailing from start to finish, for me anyway as I knew my drive would be in safe hands. 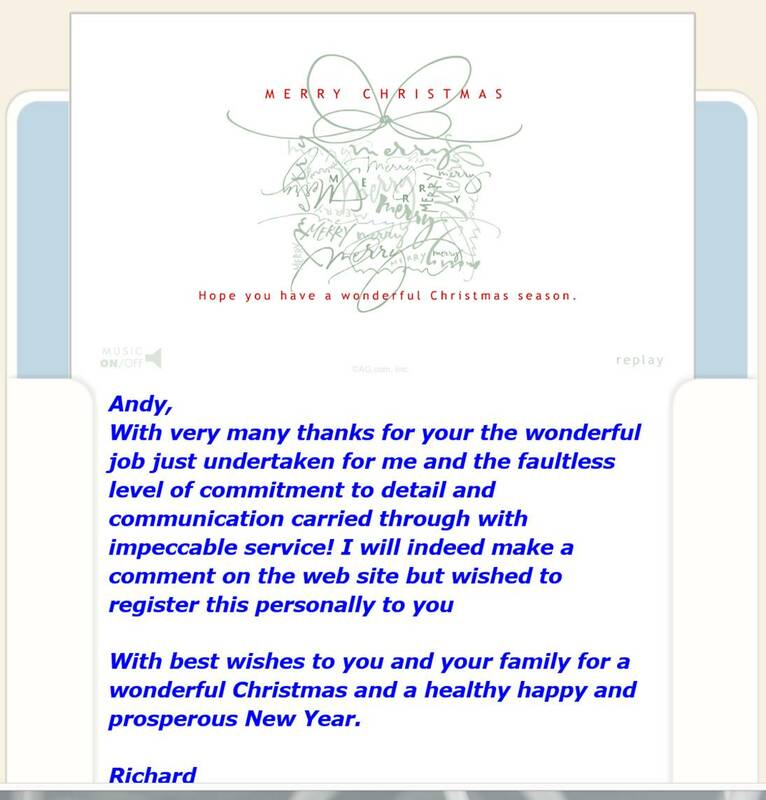 Andy sent a courier to collect my drive which was promptly collected the following day, even though my second contact when I had finally made my decision to go with R3 Data Recovery was on a Sunday at very early hours, Andy emailed me back straight away as he was still working on another job, impressed, I was. I whole heartedly recommend R3 to anyone who is of need of data recovery, and would urge you to look nowhere else for the sake of your data and your sanity. In my humble opinion R3 Data Recovery are more than specialists they are genuine professionals. • Ensuring that I received the software the same day even that the server had experienced some technical difficulties! Having reviewed the data that I saved from my drive, I found all of the data in there that would have been lost forever. I can only all heartedly recommend your services to everybody after what I have experienced. It is re-assuring to know that there are still companies and people out there that take their work seriously and are prepared to help other people in their hour of need! Once again a MASSIVE thank you for all your help, without you I would have been in deep trouble with work and would have lost lots of very valuable and irreplaceable memories forever! On Friday 19th of December at 22:46 an enquiry was received for the emergency recovery of a RAID 0 Integrated Samsung SSD within a Sony Vaio. Within 30 minutes of the enquiry Andy had a driver collecting the drive from Hemel Hempstead area and brought in with several other emergencies throught the evening right up to 2am Saturday morning. Despite the high end laptop needing disassembly the SSD was extracted and imaging of the memory banks commenced early Saturday by in house Data Recovery engineer Martin. The recovery was completed and despatched by dedicated driver Sunday. A subsequent permissions issue accessing two of the folders within the recovered data was then corrected remotely by Andy.